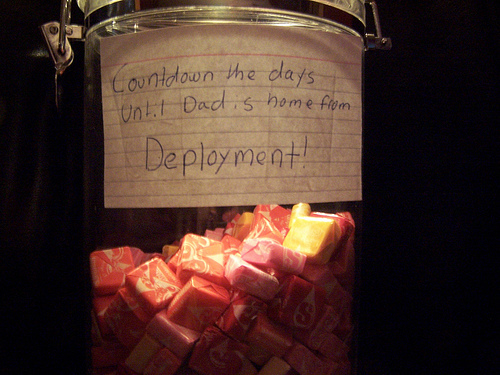 My kids made a countdown jar that will help them count the days until their day returns from Deployment with The Kentucky National Guard. They put a Starburst candy in a jar for everyday he will be gone. Each day one of the kids will remove a Starburst and before you know it dad will be home. We also have a countdown jar until the last day of school. I am all about helping you Save Money And Stay Home with your kids. This is a great low price way to make lemonade out of lemons. The Story of my sweet Survivor. God is good all the time!